Binisoft Windows Firewall Control is a nifty little application which extends the functionality of the Windows Firewall. Also, it provides quick access to the most frequent options of Windows Firewall. It runs in the system tray and allows the user to control the native firewall easily. Without having to waste time by navigating to the specific part of the firewall. 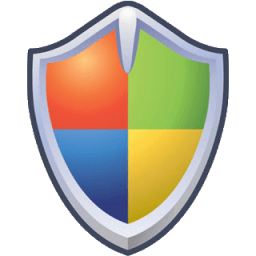 This is the best tool to manage the native firewall from Microsoft Windows 10, 8.1, 8, 7, Vista, Server 2008, Server 2012. Windows Firewall Control doesn’t filter any packets and does not block or allow any connection. This is done by Windows Firewall itself based on the existing firewall rules. Search for executable files in a user-defined folder and create new rules for the selected ones from the result list. Compatible with all x86 and x64 versions of Windows 10, 8.1, 8, 7, Vista, Server 2008, 2012. New: The notifications system is now available for free and the program does not require activation anymore. New: The installer and the files are now digitally signed. Updated: A new EULA is available when installing the software. Reverted: Secure Rules feature was reverted to the old implementation from version 5.0.2.0. The implementation from versions 5.1.x.x-5.3.x.x creates too many problems than it solves. Fixed: Under certain circumstances, Connections Log displays nothing in Windows 10. Fixed: ‘Use proxy configuration’ is checked even if the user presses the Cancel button in the proxy configuration dialog.